Government Camp, OR – Extensive improvements are set to be completed by opening day at Mt. Hood Skibowl, highlighted by a new lift, improved snowmaking and night lighting and expanded snow tubing at the ski resort located an hour east of Portland. According to Kirk Hanna, owner/operator of Skibowl, the improvements are in keeping with the master plan for the resort. Among the projects, a new conveyor lift has been installed at Skibowl East. All guests will be able to avoid trudging uphill by stepping onto the new lift adjacent to the parking lot that will carry them uphill to the Multorpor Lodge, where the mezzanine area has been expanded and restrooms renovated, and the expanded Snow Tube Hill. Guests arriving with lots of gear and kid sheading over to Mogul Busters Ski School will especially appreciate the new conveyor lift. Additional snowmaking equipment has been installed at both Skibowl West and East and will allow Skibowl to open earlier and maintain consistent snow in the base area and around the Jesse’ Flight Terrain Park in the Lower Bowl. America’s largest night ski area will get brighter with more lights at the top of the Lower Bowl and at the base of the Cascade Chair. Powering those lights, an extensive utility upgrade will assure reliable power on the East side, regardless of weather conditions, keeping the lifts and lodge in full operation. 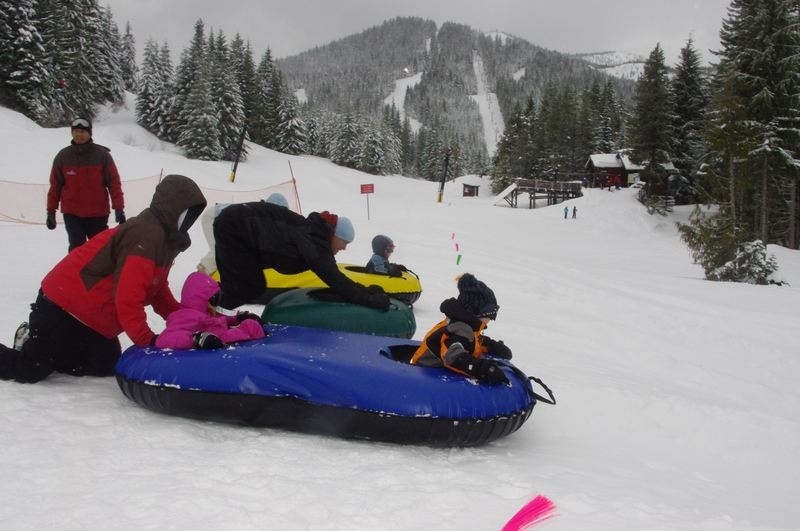 The Skibowl Snow Tube and Adventure Park will also be expanded, providing winter fun for those not inclined to board or ski. Guests will now find three multi-lane, staff-monitored tubing hills, plus an indoor Play Zone, Frosty’s Playland outside, and just for kids, the mountain’s Mini Z Snowmobiles and a new snow carrousel ride. The conveyor lift will increase capacity on the Snow Tube Hill by nearly two-fold. Cosmic Tubing with special lights and music will be added on Saturday nights and holiday evenings, in addition to regular day shifts. Mt. Hood Skibowl typically opens for the winter season in late November.